We’re not just in your element; we were born there! In a factory on the coast of British Columbia — BARE, the brainchild of 2 divers determined on creating a drysuit for the frigid waters of the Canadian Pacific Ocean was born. For over 40 years, Bare has honed their expertise and become obsessed in their pursuit of creating wetsuits, drysuits and accessories that meet these requirements. Their wetsuits and drysuits use a unique combination of anatomically correct patterns, sophisticated materials and painstaking craftsmanship; along with in-house design and manufacturing facilities to constantly evolve our wetsuit and drysuit design to exceed the expectations of our customers. WE’RE JUST BREAKING THE SURFACE. Looking to the future, BARE is committed as ever to pushing scuba diving to greater depths and greater discovery. If you don’t want to invest in a dry-suit but want to keep warm on your dives the Velocity Semi-Dry Hooded Suit is for you. The suit drastically reduces the water exchange that occurs with a standard wet suit and keeps you warmer for longer periods of time. This means increased comfort, decreased air consumption and longer bottom times. Just look at this suits features! The Velocity Ultra is a performance driven wetsuit that features the Progressive Full-Stretch (PFS) construction of the popular Velocity, with the advancement of Ultra Warmth Celliant Infrared Technology. 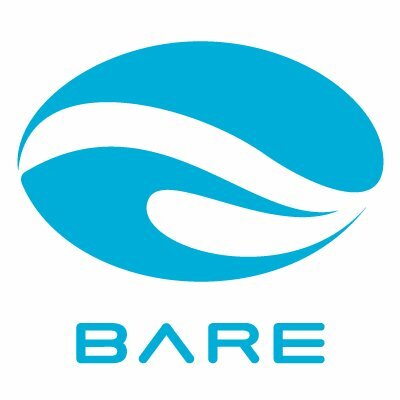 Bare’s greatest innovations in design and development together for longer, more comfortable dives. The combination of three different full-stretch material types PFS, makes this one of the highest performing mid-priced suits available. We start with Bare-Fit, the foundation of every Bare suit, which uses ergonomic design and intricate shaping patterns with articulated arms and legs. Then we highlight areas of the suit where flexibility and abrasion resistance are essential and incorporate special full-stretch fabrics to maximize performance in these key areas. PFS gives the Velocity Ultra Series a fit and feel unlike any other. What makes the Velocity Ultra Series truly special is that it’s the only mid-priced dive suit to feature the thermal-activated performance of Celliant Infrared Technology. Using minerals woven into the fabric of the suit, Celliant turns wasted body heat into infrared energy, reflecting it back to your body. This results in increased warmth, faster recovery times, and greater stamina for longer, more comfortable dives. Suit has an attached hood features Celliant lining for additional warmth. 2mm neoprene internal pullover bib for additional warmth and comfort. Front-entry cross-chest heavy-duty plastic dry zipper. 10mm spine and kidney pad to provide extra comfort for tank placement. Seamless underarms for superior comfort when worn on its own, with an additional wet layer or with a BCD. Skin-to-skin double 3mm Glideskin wrist and ankle seals. Embossed back knee flex panels to reduce bulk behind the knee when kicking and crouching. PROTEKT knee protection provides the next generation of abrasion and wear resistance. Anatomically correct pattern for three-dimensional fit throughout for superior fit, comfort and mobility. Suits is equipped with heavy-duty ankle zippers for easy donning and doffing. Double glued construction eliminates water entry through the seams. Spend $100 in store anytime during the month of October to go in the draw! Notifications, Special Offers Albany, Auckland, Bare sports, blog, canadian, Cavalli Islands, courses, Deep, Dive, Dive Gear, Dive hq, DIVEHQ, Diving, drysuits, equipment, Fiji, gear, give away, Hen and Chicks, hmnzs, Hollis Explorer, monthly madness, new zealand, NZ, PADI, PADI Advanced, PADI Dive Instructor, PADI Open Water Course, PADI Rescue Diver, Project Aware, Rainbow Warrior, semi dry, Special Offers, spend $100, Underwater photography, up for grabs, wetsuit, White Island, Win, winner, Wreck Diving. permalink.